Mohamed A. Elghawy, Traffic Planning & Design, Inc.
Kevin Brown, Urban Engineers, Inc.
Angelo Waters, Urban Engineers, Inc. 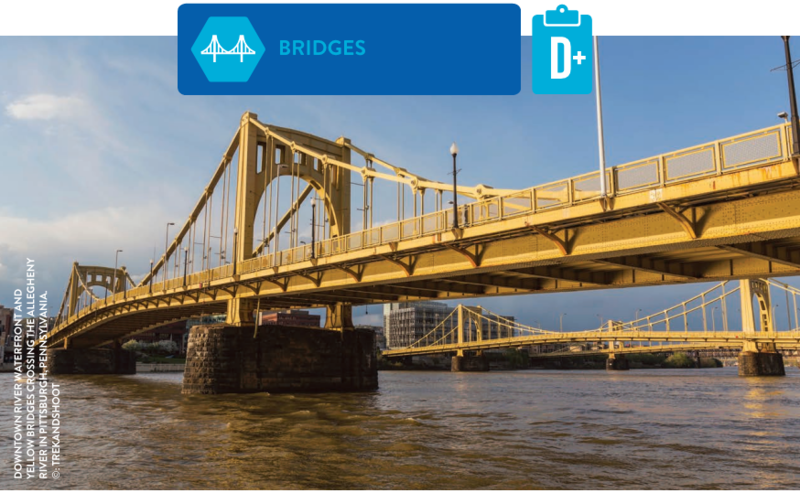 Guy DiMartino, Traffic Planning & Design, Inc.
Of Pennsylvania’s more than 22,779 highway bridges – the ninth largest inventory in the nation – 18.3% (4,173 bridges) are classified as being in poor condition, down from 24.4% in 2014. On average, Pennsylvania’s bridges are 15 years older than the national average and continue to be in need of repair and modernization. The additional funding from Act 89 passed in November 2013 has brought much needed investment to the transportation system, but more work needs to be done. While there have been many improvements over the past four years, Pennsylvania’s bridge asset managers still face several challenges, and Pennsylvania has more than double the national average of bridges rated in “poor” condition. Read more Here, and don’t forget to use this link to tell your elected officials about the Report. 2018 Report Card for Pennsylvania’s Infrastructure Has Been Unveiled! The eighteen categories of infrastructure earned an overall grade of "C-". You can learn more, and read the full report, by visiting http://www.pareportcard.org/. Starting this month, ASCE Philadelphia will be keeping all of us updated on Government and Policy issues that impact us, our professions, our projects, and our communities. This month, ASCE is following the budget debate in Harrisburg, which as usual is contentious. For our full write-up by Spencer Finch, please visit our New Government and Policy Update Page! Once you catch up on the happenings in Harrisburg, PLEASE contact your elected officials and let them know your opinion. It is as easy as one click and one email away: Contact your elected official. If you would like more information, or would like help writing your message, please contact ASCE Philadelphia’s Government Affairs Team: Ann Tomalavage, Bob Wirght, or Spencer Finch. Haven’t received your copy of the ASCE Philadelphia Section’s Centennial Book yet? Don’t miss out on your chance to order while supplies last. Preview pages from this book, as well as order the book by visiting our Centennial Book page! ASCE Philadelphia Section will be conducting a new Check-In procedure at our upcoming dinner meeting. We will now have a express line for people that paid in advance (electronically via PayPal). All other payment types (Check or Pay at Door) will continue to check-in similar to the process in the past. Name tags for all attendees will be found in the dining area and not at the Check-in table. Less time outside to check-in equals more time to network inside. So please take advantage of our electronic payment system. To implement this new procedure, it is prudent to bring your printed tickets with you. If you have not printed out ticket(s) for you and/or your guest, click on "View and print my ticket(s)" in your confirmation e-mail. If you have trouble downloading and printing your tickets, please contact Kazi M. Hassan at kazihassan@pennoni.com prior to the event. For this event, we will not be accepting any ticket(s) on mobile devices, so please print out a hard copy of the ticket. Thanks to Our Section Sponsors - Starting Our 27th Season! Pickering Corts & Summerson, Inc. Some of these sound familiar, some are no longer. This season, we will enter our 27th year of the Section Sponsorship program. We ended last season with 14 firms participating as Section Sponsors and, thus far, 11 companies will be participating in 2017-18. We extend our special and collective THANKS to each sponsor for their financial commitment and support. As a sponsor, your business card will appear in each edition of THE NEWS from October through May. Sponsor logos are displayed in a special Sponsors section of our website. Additionally, we provide direct links to sponsors’ own websites so prospective employees can review all available and up-to-date positions. We also offer sponsors the opportunity to have a “spotlight” article in an edition of THE NEWS. If you would like to join, renew or come back after a few years away, we look forward to bringing you into the Section Sponsor fold. All this could be yours for a mere $300 for the season. The October edition of THE NEWS will feature the cards of all sponsors who commit by September 18. Please contact Bob Wright at newseditor@asce-philly.org for more details. This summer the Engineers’ Club closed its office and will be using its own Post Office Box, which will not be available to other societies as it has in the past. We thank the Club for its assistance with this over the years. Accordingly, Urban Engineers has generously offered to be our “mail drop” for the foreseeable future. As a reminder, if you opt to reserve for a Section meeting or event through our website, and would prefer to pay by check, you can certainly bring your check to the meeting and pay at the door. There will be no “at the door” penalty for reservations made by the deadline in this instance. Visit our EVENTS PAGE for all upcoming events. This monthly spot has come to be one of the more enjoyable activities of my term as Section President since it provides me with a forum to highlight the many informative, value added programs our Section has to offer its members. This month I would like to turn the spotlight to our Technical Groups and Institutions that provide our section diverse and multi-discipline knowledge base and networking opportunities. Our section has two Institutes: Delaware Valley Geo-Institute (DVGI), Structural Engineering Institute (SEI) and three active technical groups: Construction, Environmental & Water Resources (EWR), and Transportation & Urban Development. DVGI is focused on geo-professionals and the geo-industry with the specific mission to educate on ways to improve the built environment; prevent the loss of life from natural and man-made hazards; and construct sound and reliable engineered facilities and structures. DVGI is currently chaired by Archie Filshill, Ph.D. DVGI holds monthly technical seminars with its next scheduled event: Geo-Congress 2019 held in Philadelphia between March 24th and March 27th. SEI advances its members' careers, stimulates technological advancement, and improves professional practice. SEI drives the practical application of cutting-edge research by improving coordination and understanding between academia and practicing engineers. 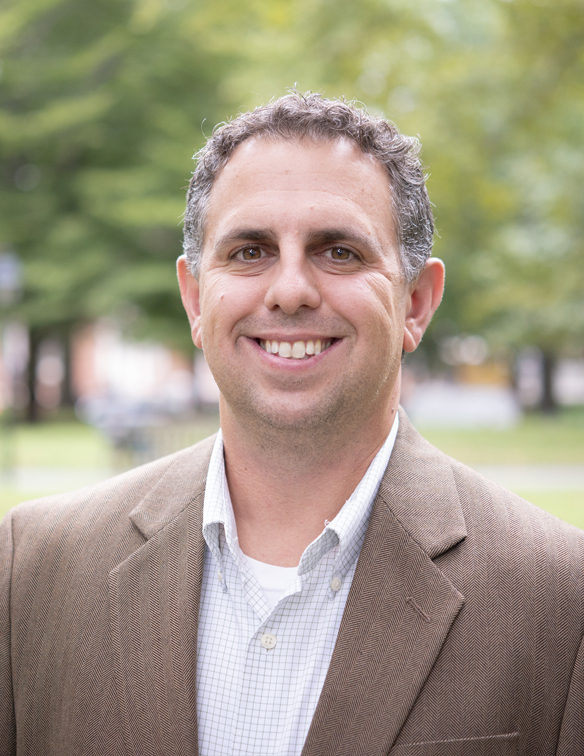 SEI is currently chaired by Joseph Fazio, P.E. SEI also holds monthly technical meetings and recently held a session on the Pocono Raceway – Tunnel Turn Rehabilitation. Our Construction technical group offers individuals and organizations working in all sectors of the construction industry the opportunity to network with other professionals, sharpen skills, and shape the future of the industry by participating in technical activities, conferences, and the development of internationally recognized standards. The Construction group is chaired by Dennis MacBride, P.E. Earlier this year the group presented the Wells Fargo Center Remodeling Project. EWR is our Section’s technical source for environmental and water-related issues. Focus areas include: groundwater, surface water, urban water sources, and irrigation & drainage. The EWR group is chaired by Eric Lindhult, P.E. EWR has an upcoming Tour of the Philadelphia Water Department Baxter Plant on April 16th. Our Transportation and Urban Development technical group combines the talents and perspectives of its members to promote professional excellence in all aspects of transportation engineering, urban planning, and development. The group is chaired by William Thomsen, P.E. The Transportation and Urban Development group recently held a lunchtime seminar on PennDOT District 6-0 – Interstate 76 Integrated Corridor Management Program. These groups are only as good as the volunteers that support them. I ask anyone that is interested in our Institutes and Technical Groups to reach out to the Chairs mentioned above or just shoot me an email.